The Republican Party, which has lost the last two presidential elections by appealing to the worst racial attitudes of White conservative voters, has come up with what it declares is a winning strategy for 2016: Appeal to the worst racial attitudes of White conservative and White Democratic-leaning voters. The conservative echo chamber of political operatives and pundits has even produced a, to coin a phrase, white paper explaining how doubling down on its failed national strategy of 2008 and 2012 will work in 2016. More about that later. One might consider that notion a modern version of the 1956 Southern Manifesto, the Congressional segregationists’ call for “massive resistance” by White Southerners to the 1954 Supreme Court Brown school desegregation decision. Or an updating of GOP standard-bearer Richard Nixon’s adoption in the late 1960s of a “Southern Strategy” of appealing to Whites made anxious by Blacks’ civil rights victories. Or, one could say it’s just a continuation of the stance against Democratic presidents the GOP adopted during the Clinton presidency in the 1990s – in the words of former Republican congressman, Vin Weber: a maximum ideological polarization. That attitude is a far distance from the claims GOP leaders made in the weeks between President Obama’s re-election victory last November and his re-inauguration in January. And how was that critique received by the GOP party faithful? Well, Rush Limbaugh, the conservative talk-show maven whose tail still wags the Republican dog, immediately announced it showed the RNC had been “totally bamboozled,” and GOP Congressional leaders comments’ about it were tepid at best. In fact, the GOP’s actions and words beyond the RNC exercise underscored again that the party continues to be driven by a callous ideology that has prompted Republican legislators to double down on all the things which contributed to the failure of the Republican ticket in 2012: to enact more legislation restricting women’s right to an abortion; to pass more so-called voter identification measures to suppress the Black vote; and to bellow their opposition to efforts to enact sensible immigration-reform measures. Realizing they had a public relations disaster in the making, the GOP leadership disavowed King’s comment. But the fact is King’s anti-immigration stance and that of the GOP itself are one and the same: Both are designed to appeal to Whites anxious by the growing population and electoral clout of Black Americans and Hispanic Americans. The solution essentially proposed by Sean Trende, a conservative pundit, and seconded by several of his fellow conservatives, is to minimize trying to broaden the party’s appeal to Blacks and Hispanics and concentrate on building the White conservative voter turnout. Black Americans would do well to pay special attention to Trende’s June 25 article, which predicts a decline in both Black voter turnout and the actual number of Black votes going Democratic. The piece contains many assumptions about how Blacks will vote when Barack Obama is no longer at the head of the ticket that are wishful thinking – but that, nevertheless, progressive Blacks and Whites need to consider. 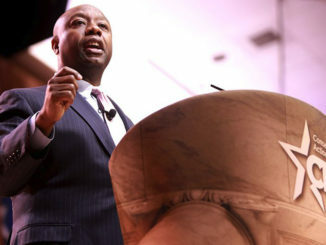 But there is an even more urgent question Trende’s predictions about the Black vote raises but which he ignores: How much are his expectations of a decline in the Black vote in 2016 election dependent on the success of the voter suppression laws Republican-dominated state legislatures have put in place? Detroit: Death Certificate or Rebirth?